Destination weddings in Hungary are planned perfectly by expert wedding planners and event designers of wedding in Hungary wedding planner agency who will make your wedding abroad a magical day full of special memories. The organisers of wedding in Hungary are some of the most experienced and reliable wedding professionals of Hungary today. Our colleagues give you advices on how to balance staying within your budget and fulfill your wedding dreams. There are many beautiful and unique venues in Hungary for your weddings and we help you to find the best suits your needs. We will guide you in your selection to make certain your wedding in Hungary is a dream come true. 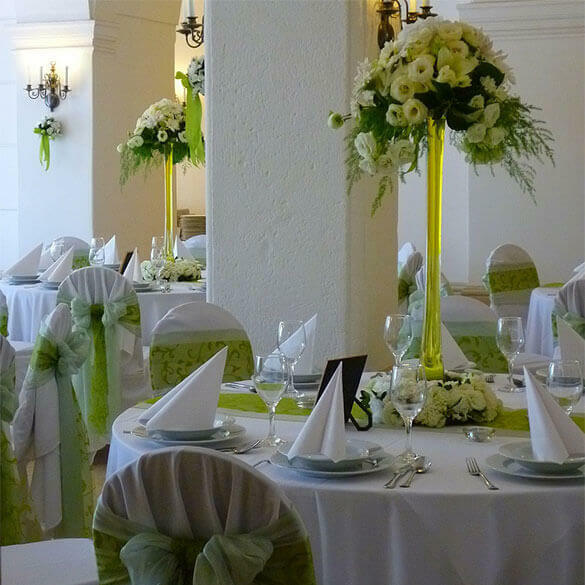 Floral decorations and decors that personalize your wedding will give a special touch to your special day. Our agency work with excellent floral designers who create memorable and stylish decorations. You only need to decide the style, theme and colour. 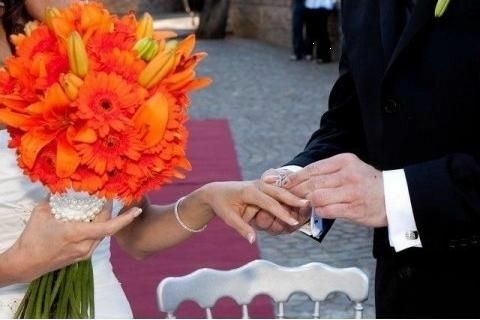 Flowers can express the feelings you share on your wedding day. Wedding in Hungary works with professional hair and make-up artists to guarantee the most perfect look for a beautiful bride to be. Advance trial sessions can be arranged so your make-up and hairstyle will be refined and adjusted to your specifications. Our hair and make-up professionals works with organic cosmetics if you require. Wedding in Hungary works with professional photographers who can capture spontaneous moments to make a wedding unforgettable. Our photographers are creative and are able to create the style of your photos as you require, from journalistic candid shots to classic posed portraits. 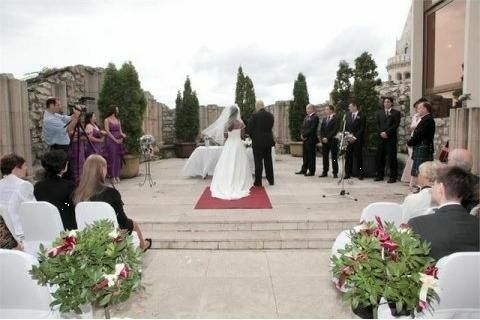 Celebrate your wedding in a castle offers you the possibility to feel like a Queen and a King for a day. Your wedding held in one of the castles in Hungary will be like a fairytale and a magical memory to remember forever. Many castles have mighty garden full of old trees and beautiful flowers and some of them have small chapels where religious ceremonies can be held. Royal feeling. Magical memories. Small chapels. Our agency offers you the finest hotels which have romantic ball rooms, panoramic terraces with enjoying breathtaking views and ancient garden. Fine cuisine and smooth serving are also the feature of these hotels that can be found mostly in the capital city. The hotels have accommodations, pool,or spa so they can invite you to relax in luxurious surroundings. Some of them have permission for civil ceremony, let our couples have a very special wedding day (ceremony and dinner) in the same venue. Wedding in a hotel is the right choice for those couples who plan an elegant and exclusive wedding day in Hungary. 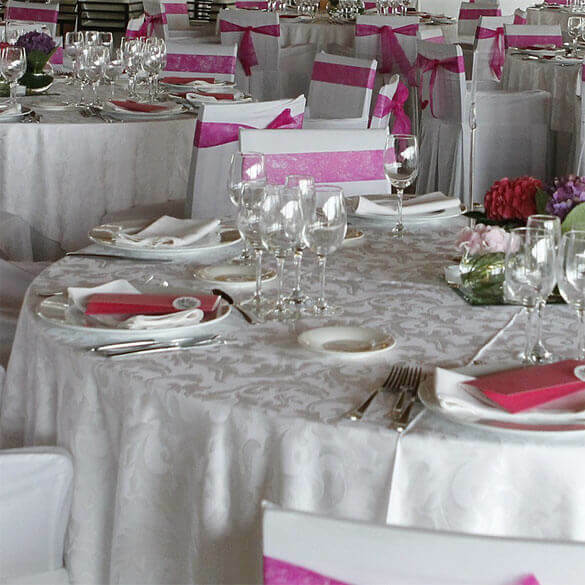 Wedding in a restaurant is a good choice for couples who want full wedding experience, but don't want to toil with the details, because everything (from chairs to beautifully layed tables) is already present. Restaurants can ensure you excellent food because they have fine cuisine and chefs. Their aim is to fascinate you because they hope you’ll return. 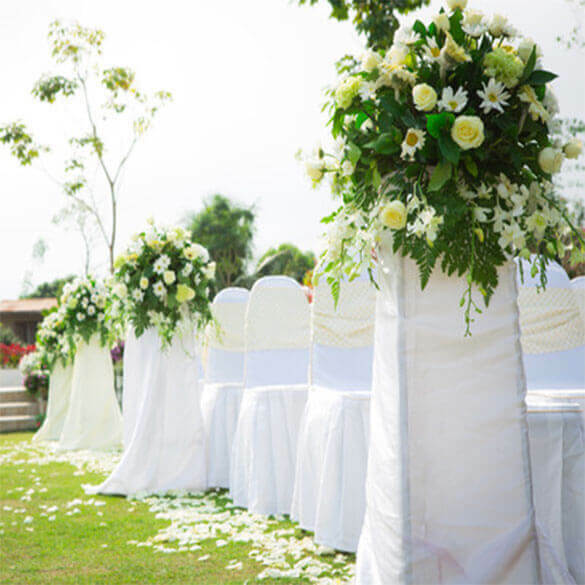 Most restaurants has their own look but every bride wants to customize her space, so make sure that you're allowed to bring in the flowers and other decorations you want. Wedding in Hungary agency has selected excellent restaurants which offer you perfect venues for memorable and unforgettable wedding receptions in Hungary. Outdoor weddings are romantic and amazing. The hotels, villas, and castles with nice terraces and beautiful gardens give you especial venues for your outdoor wedding ceremonies and receptions. Wedding celebrations can happen in a romantic garden of a Castle which is full of beautiful flowers and mighty old trees or on the smooth green grass of a Villa or on a romantic Boat which softly slips on the river Danube from where the view of Budapest down-town is amazing. A nice Boat on lake Balaton also can be a special outdoor venue of your unique wedding. 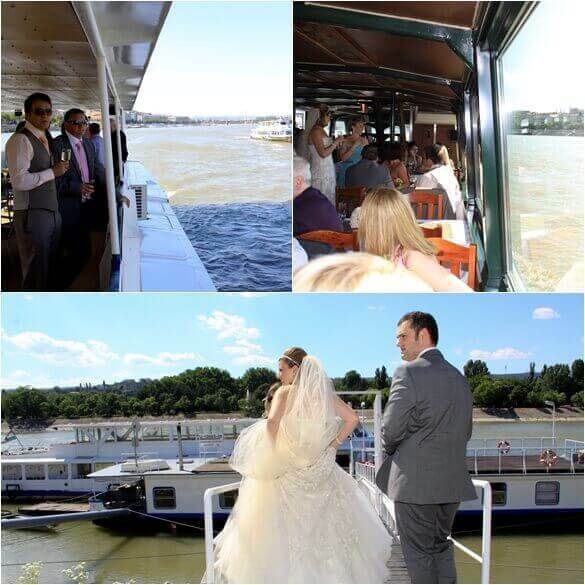 Either of the outdoor venues you choose you can be sure of having an unforgettable wedding day in Hungary. Beautiful gardens. Nice terraces. Unique wedding venues. Enjoy a memorable boat trip with your family and friends on the river Danube with some drinks and gipsy music meanwhile the boat is softly slips on the river and all of you can admire the beautiful view of Budapest down-town. 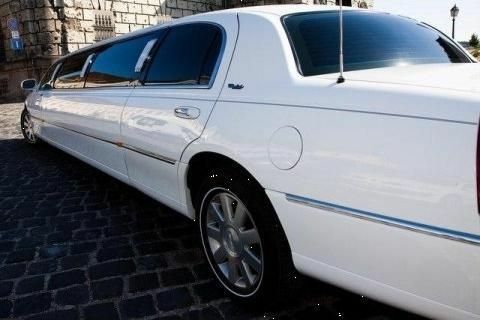 The trip can be organised before the wedding day, or between the wedding ceremonies and wedding party on the wedding day. There are also big boats where wedding ceremony and wedding party can be held on in one place. Panoramic terraces, mighty rooms, fine cuisine, professional wedding service providers, so everything together what is needed for a special and unique wedding day in Hungary. Special venue. Fascinating view. Unforgettable memories. 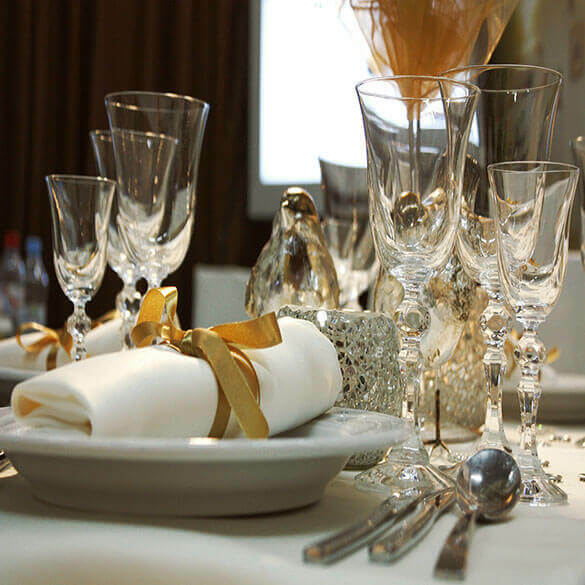 The rehearsal dinner is a marvellous start of your wedding celebration in Hungary. It can be less formal event because usually fewer guests are invited to than the wedding party. This kind of dinner must be full of fun and joy. So, it can be the right start for an unforgettable wedding celebration. Marvellous. Fun & joy. Great venues. Destination weddings in Hungary are planned perfectly by expert wedding planners and event designers of wedding in Hungary wedding planner agency who will make your wedding abroad a magical day full of special memories. Gorgeous receptions and parties in the finest wedding venues. Let our wedding planner agency create a fabulous wedding in Hungary for you. Expert Planning. Event designers. Fabulous wedding in Hungary. Wedding abroad. Destination wedding. Wedding planner in Hungary. Thanks so much for all your help. We had a beautiful and perfect wedding day. We felt everything went really smoothly with the hairdresser, make-up artist, flowers, photographer, etc on the wedding day. Yesterday we have received the photos and we are really happy with them please tell it also to the photographer. Dear WIH, I wanted to tell you that we received the photographs on Tuesday and they are spectacular. thanks to you. Without your help we could not find the perfect priest and professional photographer and other great suppliers which were needed for our perfect wedding day! Since we returned home, we think about our wedding almost every day. And next year we will come back to say hi and relive all the precious memories. We can't think of a better way to spend an anniversary. Hungary, 1039 Budapest, Madzsar J street. 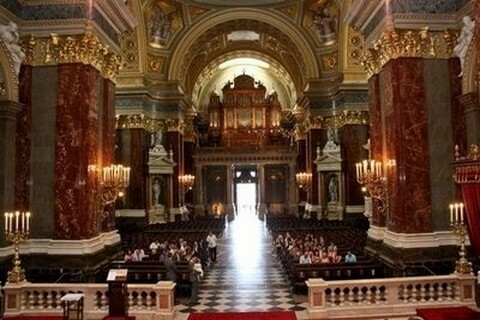 Weddinginhungary.hu is the original wedding planner website for organising destination weddings in Hungary since 2010. Our expert wedding planners and event designers will make bride's wedding abroad a magical day full of special memories. If you would like to contribute your own publications to our website please get in touch. Please read these terms and conditions carefully before using the website situated at www.weddinginhungary.hu(“our Website”) operated by Gaston2000 Ltd. („our”, „we” or „us”) (Registration Number: 01-09-685604). These terms and conditions govern all your use of our Website; by accessing or viewing or using any part of our Website or using our directory (“our Directory”), you accept these terms and conditions in full. If you disagree with these terms and conditions or any part of these terms and conditions, you must not use our Website. Unless otherwise stated, we own the intellectual property rights in our website and material on our website. Subject to the license below, all these intellectual property rights are reserved. The restrictions set out below and elsewhere in these terms and conditions. You must not: "republish material from our Website (including republication on another website); "sell, rent or sub-license material from our Website; "show any material from our Website in public; "reproduce, duplicate, copy or otherwise exploit material on our Website for a commercial purpose; " edit or otherwise modify any material on our Website; or "redistribute material from our Website. Check what paperwork you'll need to marry. Choose a wedding planner to help you with the planning. Send invitations to the guests you'd like to join you. Book hotel and airline. Book the wedding venue. Looking at menu choices and book your reception. Looking for a photographer. Book your DJ/Band for the reception. Book your make up artist and hairdresser. Wedding dress(check with your airline though/wedding dress transportation). Make sure you have all the paperwork you need. /birth certificates - many countries require copies of your full birth certificates issued no more than 3 months before the wedding day - /. Check if you need to have your documents translated. / official translator if you need / Flowers. What type of wedding cake you'd like. 1 months before your wedding day. Check that everything is booked and ready for the big day. Wedding planner will confirm everything. Travel to your destination and meet with your wedding planner to finalize details. Start enjoying your time together before your marriage. Both the bride and the groom must apply for the marriage license personally at the competent registry office. Competency is determined by the location of the wedding ceremony. In Budapest, there are registry offices by districts, so if you would like to have your ceremony in the 5th district, you need to apply for marriage in the registry office of the 5th district. The legal process takes around 3 months or more, so the application must be submitted minimum 3 months before your wedding. You don’t need to be resident during these months. You need to do just one visit which takes arond 1 hour. An interpreter is needed because the language of the procedure is Hungarian. The interpreter needn’t be a certified one, but he/she cannot be your family member. Interpreter can be your local wedding planner or a friend. The language of interpreting needn’t be your language, it can be English, if you understand English well. The non-hungarian birth certificates and Certificate of No Impediment and the documents in special cases must be translated by the Hungarian Office for Translation and Attestation Ltd. Both of you must be 18-year-old when applying for the marriage license. For the official wedding ceremony in Hungary 2 witnesses are needed, 1 for the bide and 1 for the groom independently from their nationality. Foreigner also can be your witness. Their data and copy of their passports will be needed before the wedding.